A big thanks to the wonderful Alyssa Henry for snapping a few shots of my beluga sized belly! It feels really weird putting up photos of myself on this blog, but thankfully Alyssa did a great job! What does this mean for Carly Carlson Photography? Well, obviously I'm not really taking any summer sessions this year. No weddings this year, either... and the Fall has very limited booking opportunities. So basically, if you are planning on a fall session, let me know ASAP so I can get you on my calendar! Aww! Carly! You look so good! Congrats! Love the flower in your hair. You look fab! 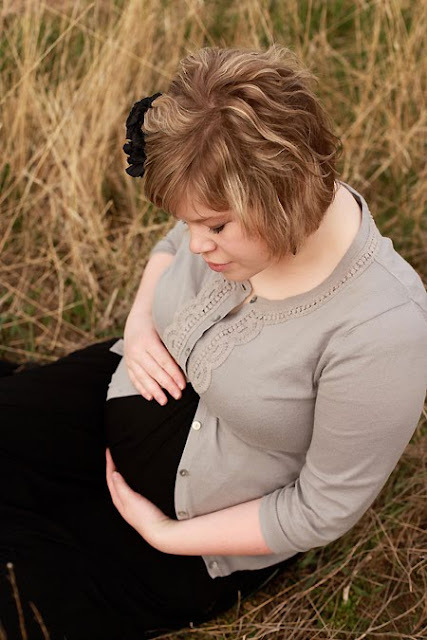 Okay you are one beautiful pregnant lady! I love these pictures. Your hair is so cute! And congratulations to Dylan!! When's the big day? You are the prettiest in the world. LOVE the last one of you laying in the grass! You look so beautiful! I can't wait until one comes :) Love ya!